This is definitely one kitty cat that has claws. Do not try and pet him. Dragon Ball fans, rejoice! Everyone's favorite purple-haired cat diety, Beerus has officially joined our pals Goku and Vegeta on the roster of playable characters in Dragon Ball FighterZ. This shouldn't come as too much of a surprise since he was already listed as one of the characters playable in this weekend's open beta. But, now it's officially official and he's even got his own press release and trailer. 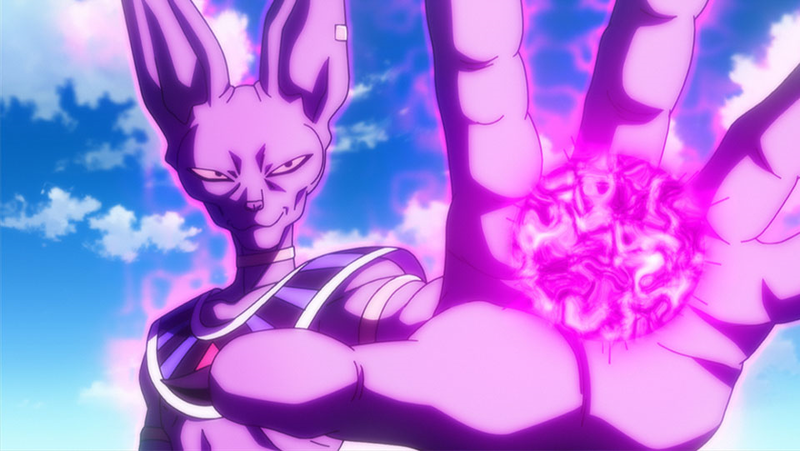 "Beerus “The God of Destruction of Universe 7” is one of the most feared characters within the Dragon Ball universe. Possessing the finicky personality of a real cat, you never know when he’s going to maliciously snap and end up destroying your day. Now his power and skill can be wielded in DRAGON BALL FighterZ as Beerus officially joins the fray." Dragon Ball Z FighterZ is set to launch for Xbox One, PS4 and PC on January 26th. I thought that was done forever ago, nice to see. Well that hardly seems fair.